Srinagar, May 29 (KMS): In occupied Kashmir, the All Parties Hurriyat Conference Chairman, Syed Ali Gilani, while paying rich tributes to Bilal Ahmad Ganai, a civilian, who was martyred in firing by the Indian troops in Pulwama district, has said that the killing of civilians is aimed at prolonging the prevailing fearful atmosphere in order to suppress the freedom sentiments of the Kashmiri people. 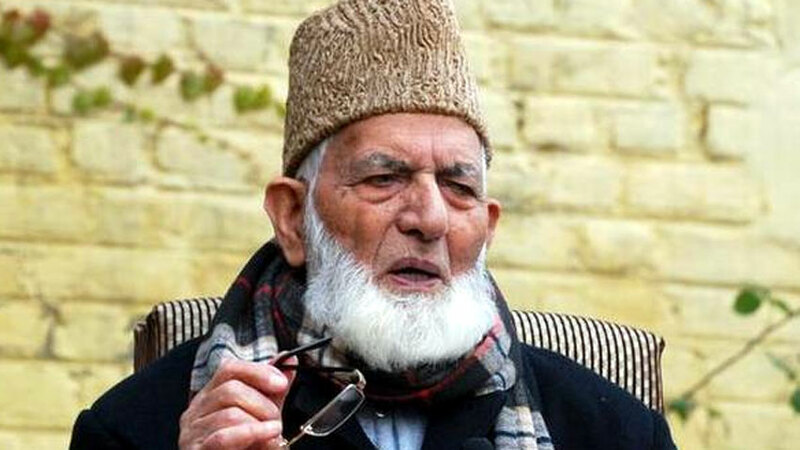 Syed Ali Gilani in a statement issued in Srinagar took a strong note of the recent merciless killing of civilians in Hajin, Bandipora and Baramulla, and asked people to remain vigilant about the venomous conspiracies of the occupation authorities to set on fire the ethnic and communal harmony in occupied Kashmir. The APHC Chairman vehemently condemning the killings under the tag of ‘unidentified gunmen’ said, “New Delhi is trying its best to explore all possibilities to revive the notorious regime of Ikhwan (government gunmen) culture to sabotage our movement.” Ikhwan, an Indian army-backed notorious militia, had killed thousands of innocent people during 1990s. Bilal Ahmed Ganai, a driver by profession, was killed when he was on way back home on Sunday night.